Screening of Personal Statement & Panel Discussion moderated by Liz Willen, Editor-in-Chief, The Hechinger Report, with Director and Producer Juliane Dressner; TC Professor Riddhi Sandil, Director of the College Advising Initiative; and students from the film. Learn more about the film here. Please note that the sessions and speakers listed below may be subject to change. Check back for updated information as the sessions continue to develop. Personal Statement, which is making its SXSW debut in March, is a moving documentary that addresses the guidance gap through the stories of three Brooklyn high school seniors. Our exclusive screening will be followed by a panel discussion with Director and Producer Juliane Dressner; TC Professor Riddhi Sandil, Director of the College Advising Initiative; Liz Willen, Editor-in-Chief of The Hechinger Report; and two students from the film: Enoch Jemmott and Christine Rodriguez. Learn more about the film here. Presented by the Math, Science and Technologies department, STEAMnasium features interactive activities and opportunities for play across several STEAM domains. Educators, kids and parents will love this exhibit! Presented by the Biobehavioral Sciences Department: The EXerT Clinic in the Applied Physiology Laboratory is offering free health and fitness screenings on a drop in basis. Come by for measurement of your body composition, blood pressure, breathing, and your physical activity. The newly opened EXerT Clinic offers individualized exercise testing and physical activity assessments and counseling services to adults and athletes of all ages. EXerT also provide health screenings, movement programs and educational sessions for TC and neighboring communities. Drop by to meet faculty, students and staff and learn more about EXerT's work in the lab and community, and research being conducted by Clinic team members. Sayu Bhojwani will kick off the Session with a 10 minute Ted talk-style discussion, which will be followed by a panel discussion that will explore how new Americans are working at the convergence of education, language and political action to secure their place in society. The first 50 students who sign up for the panel will receive a copy of Sayu's book, People Like Us: The New Wave of Candidates Knocking at Democracy's Door, and have the opportunity to meet Sayu during a book signing. The books have been generously provided by the Office of Student Activities, Office of Student Affairs, Office of Diversity and Community Affairs, Office of Government Relations and Office of Alumni Relations. Building on the theme of education for all to flourish, you’ll hear more about the lessons learned from the Global Learning Alliance, an outgrowth of TC's Center for the Professional Education of Teachers, which is committed to developing culturally responsive pedagogies. For those charged with preparing today’s students to lead the world of tomorrow this workshop will provide valuable tools for teaching 21st Century Skills. Learn more about the New Teacher Network, one of the signature initiatives offered through TC's Center for the Professional Education of Teachers. The Minority Postdoctoral Fellowship, the only position of its kind, was created at TC in 1996 to advance the careers of individuals from groups in U.S. society that have been historically underrepresented in the academic profession; to advance scholarship on issues affecting underrepresented groups; and to increase the diversity of scholars and those who prepare them nationwide. Of the 30 past fellows, three are current members of TC's faculty, including the first fellow ever to receive the award Dr. Cally Waite. Now a professor in TC’s History and Education program, Cally serves as a mentor to the current fellow, Michael Hines. Join us in learning more about this program, and Michael’s work which focuses on African-American education in the early twentieth century. His talk begins with a historic date: May 28, 1942, in the midst of the Second World War, Chicago Public Schools adopted a new social studies curriculum entitled Supplementary Units for the Course of Study in Social Studies. Beneath the plain language of its title lay a truly remarkable accomplishment. The adoption of the Supplementary Units marked the first time in the city's history that the contributions of African American citizens were recognized in the curriculum of its schools. Over a decade before the Brown v. Board decision initiated the modern movement for integration, representation, and multiculturalism in education, the Supplementary Units were taught in 353 Chicago Schools serving both black and white student populations. The story of the development, adoption, and implementation of the Supplementary Units is one of race, politics, war, history, and education. At its center is Madeline Morgan, a teacher and activist whose passionate fight for the inclusion of African Americans in the nation's telling of its history resulted in a curriculum that was hailed on a national and international level as a pioneering effort in intercultural education. The Blackboard and the Color Line: Madeline Morgan and Black History in Chicago’s Public Schools, 1942-1945 examines the contexts that led Morgan to create the Supplementary Units; the place of her work in the history African American thinking and theorizing on the curriculum; and her lasting legacy for present-day educators in the present who continue to speak out for those who have traditionally been marginalized or erased from the historical record. This session, featuring the recipient of the Alumni Award for Outstanding Service, traces Dr. Joohee Son’s story from dissertation to the founding of a language school in South Korea. If you have ever wondered about pathways for implementing your ideas based on your studies at TC, this story may inspire you to persevere. Dr. Son’s commitment to Teachers College is grounded in the ideas she was able to develop at the college through her dissertation, and through her ongoing relationship with the Center for Technology and School Change at TC. The Morton Deutsch Awards for Social Justice were created in 2005 by the Morton Deutsch International Center for Cooperation and Conflict Resolution (MD-ICCCR) to symbolize Deutsch’s incredible legacy as an eminent social psychologist and to honor a distinguished scholar-practitioner in the field of social justice and an exemplary student paper on social justice. This session features the 2019 recipients, alongside an esteemed panel of peace educators who will delve into the ideas of social justice in practice. Parents or guardians must accompany minors. Music is an essential component of the childhood experience. In this interactive session you’ll discover the benefits of DJ practice for child development. Learn about meaningful ways to inspire musical creativity through child-centered DJ pedagogy. The session will feature guided song mixing practice using the latest DJ technology for the classroom, and is open to all attendees big and small, and is ideal for those in grades 2-8. This is an early-childhood jazz education program for children, ages 8 months to 5 years, and their parents/caregivers, which was co-created by Jazz at Lincoln Center and Dr. Lori Custodero, Associate Professor of Music Education at Teachers College. Learn about jazz instruments and improvisation and the creative process of great performers, and have fun, too. This session provides a creative outlet for parents and children to explore jazz and express themselves together. During this interactive workshop, participants will focus on self-branding, do's and don'ts of networking, and setting up the ideal interviewee space. The 2019 EdTech Innovation Award (INA) will be presented to a team of student entrepreneurs who’ve pitched the best EdTech solution that uses "Play as a pathway for all to flourish in STEAM." Join us for this two-part Showcase and Pitch Show to learn more about the exciting work students are doing at TC. An interactive demonstration of the projects, in which students will share the problems they are trying to solve, as well as their design solutions. Guests can vote on their favorite project. The 3 teams of finalists will deliver a 3 minute pitch of their projects before a panel of judges who will provide live feedback (Shark Tank-style). 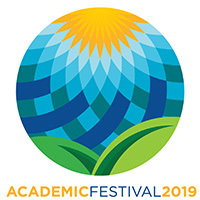 Join us for this exciting show, where we’ll award the overall winner and recipient of the 2019 INA Award, as well as name the team who presented the best research and the winner of the People's Choice Award. Now more than ever, mental health providers and key stakeholders must push themselves to provide culturally-responsive interventions, strengths-based approaches and socially-just practices, especially with populations exposed to trauma. This session will explore ways in which we can leverage psychological science in the service of communities and in response to human rights violations. What if public and private schools forged alliances to leverage resources, expertise and experience? Teachers College - home to not only the Klingenstein Center, dedicated tostrengthening the leadership skills of independent and international school leaders, but also the preeminent Education Leadership Program that develops school leaders through the Summer Principals Academy and the Urban Education Leaders Program - is just the place for us to convene this important dialogue! Join us for this engaging brainstorming session in which both public and private school leaders will discuss the endless possibilities for advancing both practice and research that could come from building alliances across public and private schools. Through storytelling, we learn compassion, empathy, tolerance and respect. By understanding another’s point of view, we begin to comprehend how society may impact them differently. Come learn more about the need for developing multimodal literacies, the importance of giving voice to our youth and how stories can open our minds and hearts. Join us in celebrating the life and work of the late Professor Lee Knefelkamp, a pioneer in student development theory. Dr K’s former colleagues Warner Burke and Arthur Langer and former student, Jayne Brownell will open the session with a brief opening tribute, which will be followed by small-group discussions facilitated Dr K’s colleagues and former students. Come share YOUR story about how Dr. K made an impact on your life.